- - name Jhon Heath Aarondale, but he goes by Heath. - - age He just turned seventeen. - - god parent Heath's father is Hermes, god of thieving and messenger of the gods. - - physical appearance Heath isn't particularly handsome, but he isn't ugly either. He just turned seventeen years old and is naturally broad-shouldered and burly, unlike the majority of the Hermes cabin. He is tall and muscular, with wavy chocolate brown hair and dark brown eyes. He is very pale and it seems that no amount of sunlight can turn his skin tan. Despite his very broad and large figure, Heath is very graceful, and has spent years mastering the art of pick-pocketing...and stealing pretty much anything he can get his hands on. He also has many scars lacing up and down his hands, arms and legs due to constant training over the years, and though he isn't the best with weapons, he can sufficiently handle knives and other small blades. - - personality To keep it simple, Heath is a pretty typical child of Hermes. He is somewhat smug and arrogant, and very self-absorbed. Though disliked by many camp members due to his constant stealing and playing practical jokes, Heath likes to think he is loved by everyone. Despite his conceited personality, though, Heath is a good friend, and very loyal. It takes a while to earn his trust and keep him from stealing everything but the clothes off your back, but to Heath, once a friend, always a friend. - - history Heath came to Camp Half-Blood by his own terms. He discovered a demi-god when he was ten years old; after years of strange occurances, of being chased and attacked by supernatural creatures, Heath confronted his mother and demand she tell him what was going on -- what was wrong with him. Heath's mother had always been an alcoholic, and when he asked her so forcefully, she was nothing less of drop dead drunk. Not realizing what she was saying, the woman spilled everything; that his father was a god, that he had been under constant danger his entire life, that there was a camp where he could finally be rid of all these enemies. Heath, dumbstruck, ran away the next day, determined to find this camp. He stumbled upon it two months later, and there he has lived to this day. - - disorder Heath was diagnosed with severe ADHD when he was eight years old. He'd always been a very hyper child, never able to sit still, constantly moving and talking and jumping about. Though his doctor recommended medication, his mother was too broke to afford it, so the child went without and constantly got in trouble for being so jittery. Now, his disorder is an advantage, as it sharpens his impulses and reflexes when in battle. - - strengths / weaknesses Heath is a very skilled thief. Though he was rubbish at first, a complete failure compared to the older members of Hermes cabin, he has perfected his skill over the years and has gotten to the point where it is very hard to detect his tricks. He is also somewhat good with small blades like knives, and has quite a charming personality to use to his advantage...that is, when he is not being arrogant and infuriating. His main weaknesses are how highly he thinks of himself, and he isn't good with many weapons, other than knives. Wonderful bio Heath! Welcome To Camp! Welcome to Camp. I'll put you as head councilor of your cabin. 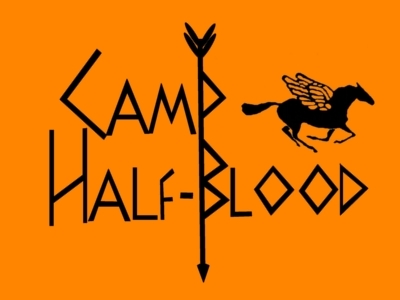 Welcome to Camp Half blood Heath!